A few years ago I published a post called the Field Recording Gear Buyer’s Guide. It was intended to help field recording fans decide how to choose the best pro audio equipment for them. It wasn’t just a list of gear stats, though. It was written for new field recordists. After all, it’s hard to know what is the best gear amongst the hundreds of options available. So, the post was designed to help people grow through their kit choices. It begins by sharing sub-$200 kits that help beginners get started. Each later section of the post included ideas on supplementing their existing kit economically, then switching out to more expensive upgrades, later. That was meant to mimic the natural progression of a field recordist’s career: from simple, enthusiast equipment to elaborate, expensive pro options. Today’s post also features field recording equipment options. However, it takes a different approach. Some field recording equipment is used only in rare, special situations. So, it’s not commonly added to a growing sound pro’s kit. That’s why specialized equipment didn’t appear in the previous post. Just the same, we shouldn’t leave unique or unusual field recording tools neglected, should we? 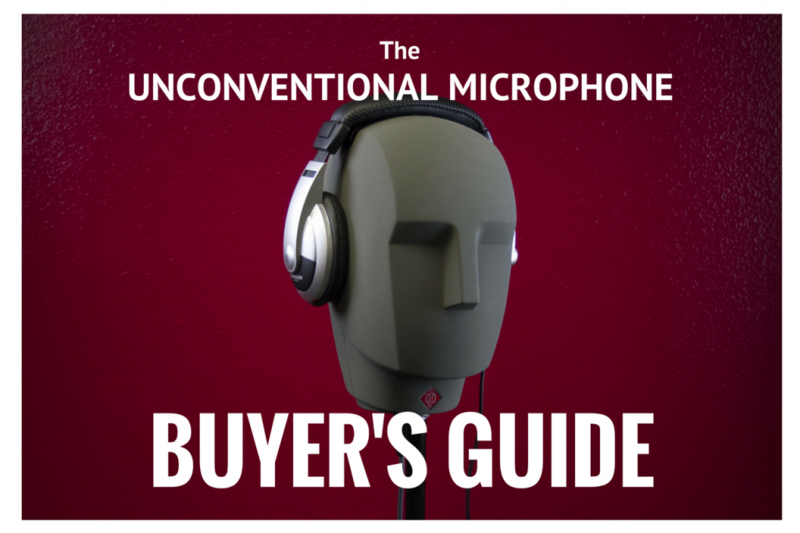 Today’s article explores those options in The Unconventional Microphone Buyer’s Guide. The beauty of field recording is that there are dozens of ways to capture the sound around us. The equipment listed in today’s post shares novel ways of capturing audio. Some of them gather sound effects with new spatial perspectives. Others collect tracks through unusual mediums. Stereo Ambient Sampling Systems (SASS). 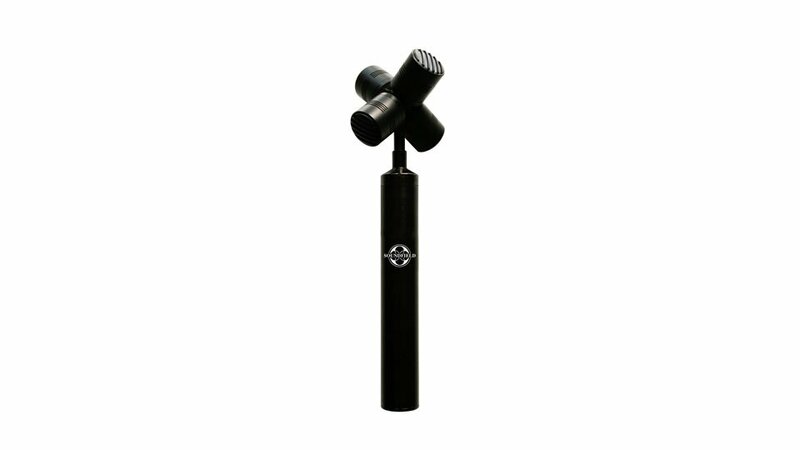 Ambisonic microphones use four discrete microphone capsules to capture a full 360-degree sphere of sound. Specialized software manipulates the raw four-channel tracks to output formats ranging from mono to stereo to quad to surround and more. These microphones have become more popular with the rise of Virtual Reality, Augmented Reality, and 360 video applications. They are also used to record surround sound tracks that shine in film and stage theatre environments. 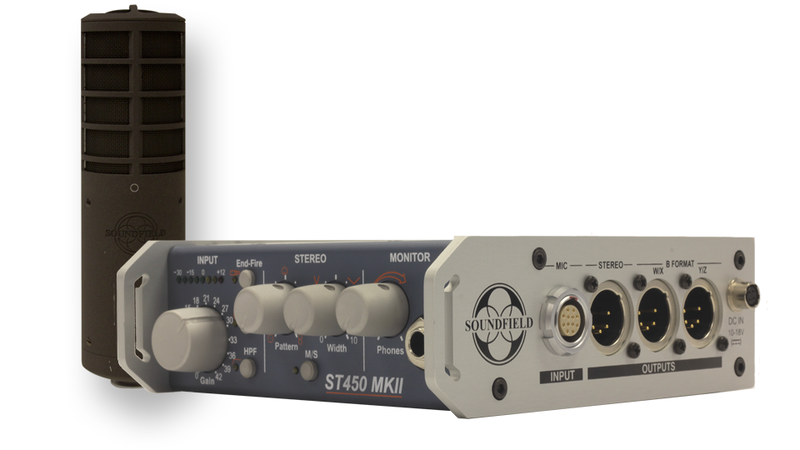 SoundField ST450 MKii ($7,561). 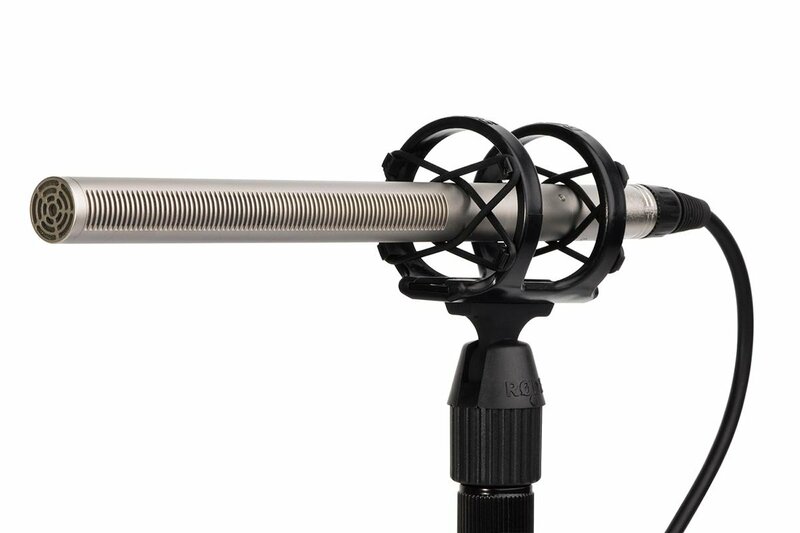 The ST450 MKii is arguably the most popular Ambisonic microphone on the market. The outboard control unit makes it easy to operate the microphone in the field. SoundField SPS200 ($3,567). A software-controlled microphone option. SoundField SPS422B ($5,435). A microphone/rack mount processor box combo. DSF-B MKII ($12,777). 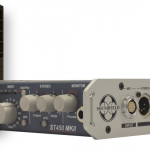 A microphone and rack mount processor unit designed for broadcasters and concert venues. Sennheiser Ambeo VR 3D ($1,649). Pro microphone heavyweight Senneheiser’s first Ambisonic microphone. Core Audio TetraMic ($999). A lower-priced option reportedly better suited for recording indoors. Embrace Cinema Brahma ($799 – $1,999). 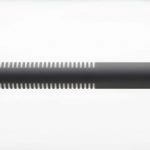 Inspired by a Kickstarter project, this company has since released a range of lower-priced Ambisonic microphone options. 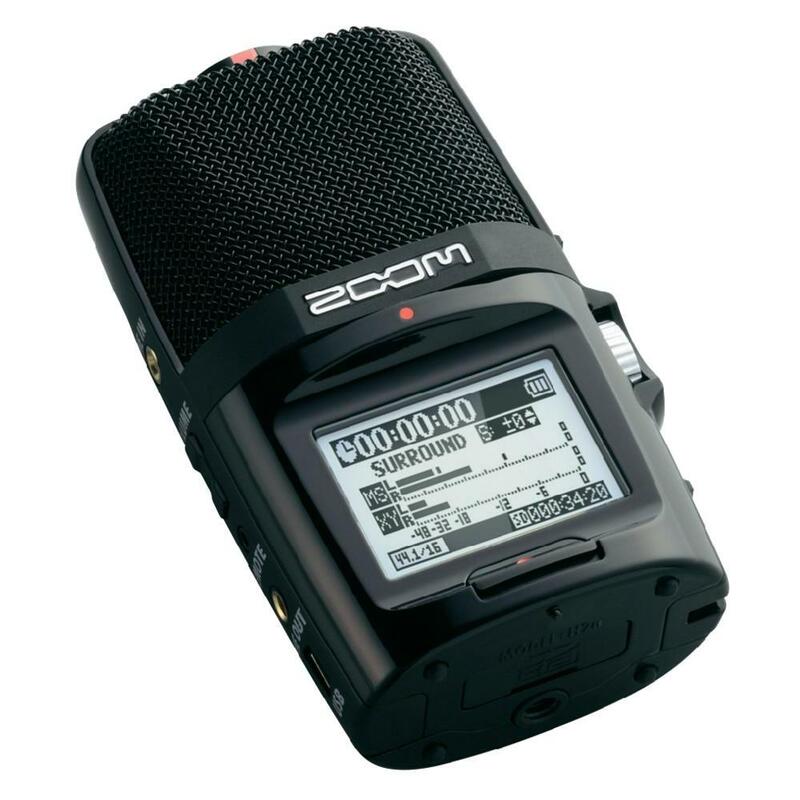 Zoom H2n ($159). The H2n’s four channels can be manipulated to create horizontal-only Ambisonic B-format files. 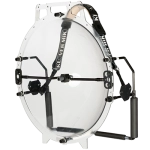 Learn more on ambisonic.info. MH Acoustics EigenMike em32 ($20,000). 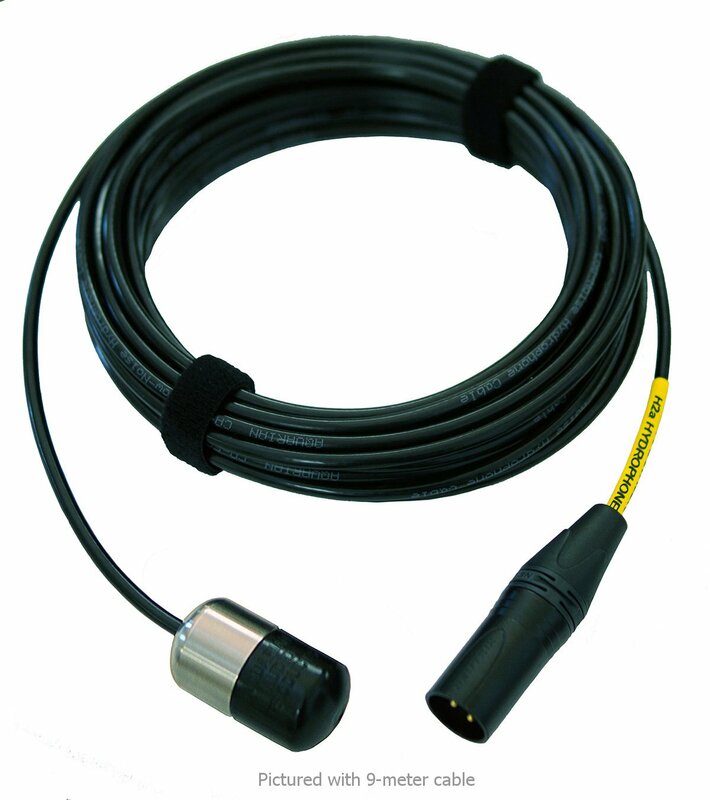 An elite option capable of capturing 48 kHz/24-bit recordings up to the fourth order. This is a spherical microphone with 32 electret capsules that output to FireWire via the EigenMike Interface Box. Also includes a Pelican case, and the EigenStudio software. Windscreen is $700. 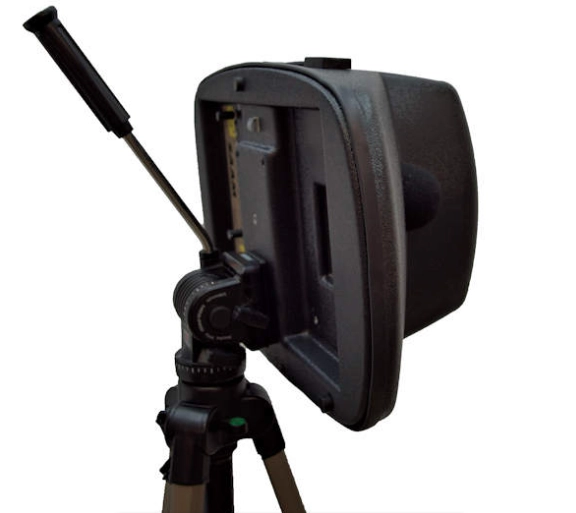 Learn more about Ambisonic field recordings in a post here on the site. 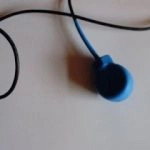 Binaural microphones are another way of capturing spatial recordings. The technique requires two microphones spaced at the average distance between human ear canals. It also requires a “separating element” to recreate the head shadow between the microphones. Classic binaural microphones use a dummy head, but other systems use a Jecklin Disk to achieve similar results. Many options are head-worn on a field recordist’s own head either in-ear, or mounted on eyeglass arms. Whichever the case, this separating element mimics how sound travels separately to each ear. The result? A 3-D stereo sound sensation that seems to place the listener within the recording. Sound pros use upper-market binaural systems to convey a spatial feel for VR, AR, and 360-degree video. Many advanced field recordists use them to portray an sense of realism in nature recordings. 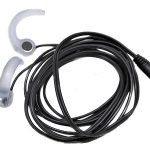 More affordable binaural microphones are excellent ways to begin field recording (as mentioned in the Portable Recorder and Microphone Combo section from the original Field Recording Gear Buyer’s Guide). Since binaural microphones can also be head-worn, they find a niche in stealth field recording, too. 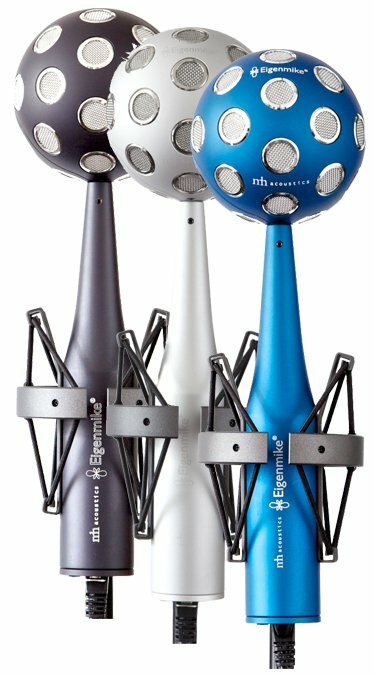 Neumann KU 100 binaural dummy head ($7,999.95). 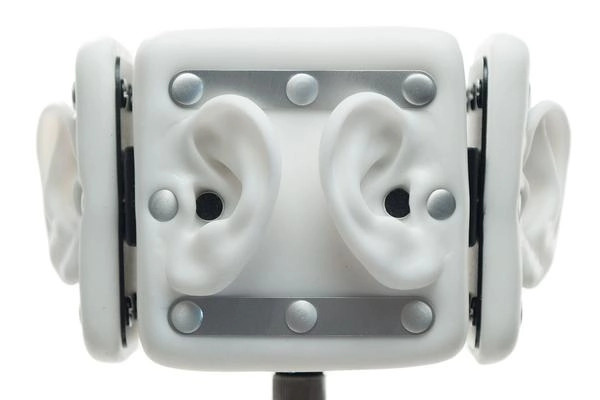 The most prestigious binaural dummy head system. The successor to the retired KU 81, which many pros says has the better, classic sound. 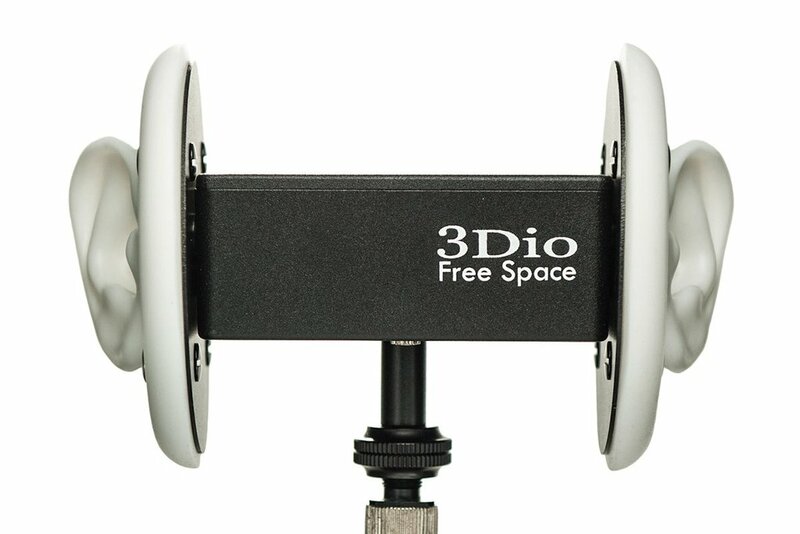 3Dio Free Space ($499+). 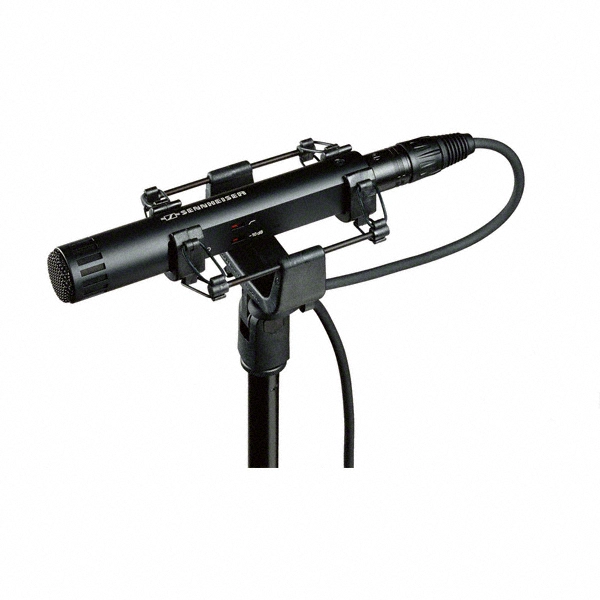 This stand-mounted unit comes in three versions (1/8”, XLR, and DPA 4060 microphone upgrade). 3Dio Omni ($2,499+). This is a four-sided version of the Free Space, with four sets of ears. It is designed to work with 360 degree video production. Available in standard and DPA 4060 versions. 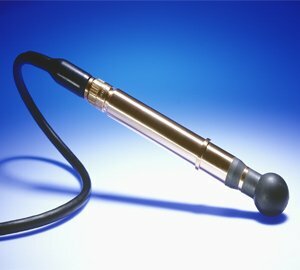 Otokinoko binaural microphone ($3,899). 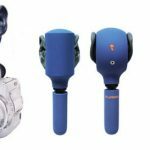 This blue hand-gripped Japanese binaural system may look strange, but reports are its sonic clarity are worth the odd looks and the hefty price tag. Features an 1/8” interface. 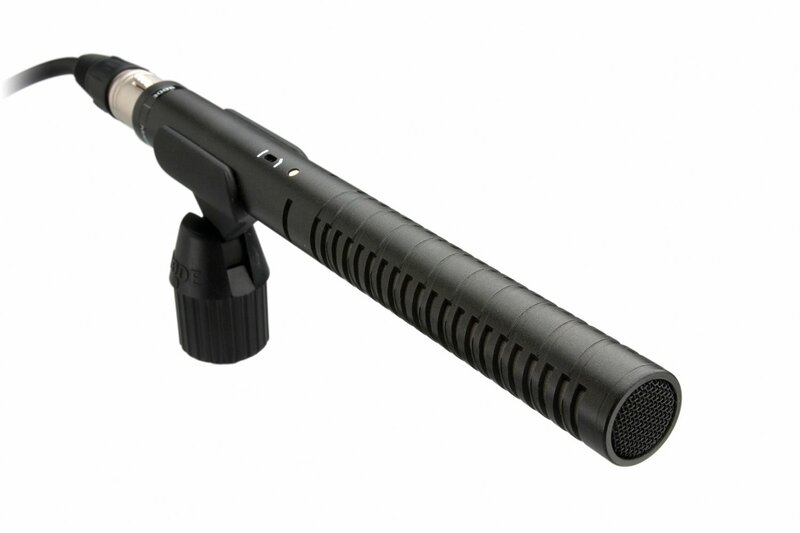 Mitra Corp. 3D Mic Pro ($845). Designed for audio-for-video, this dual 9V-powered binaural microphone features XLR and phono level out. 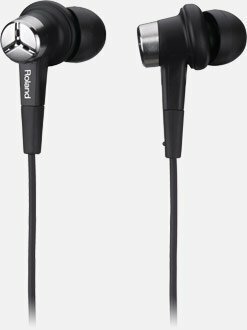 Roland CS-10EM combo ear bud and binaural microphones ($98.49). Luhd PM-01Binaural (€94). 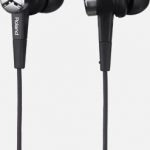 These tiny microphones function on plug-in-power and offer in-ear and hook mounting options. Hooke Verse ($239). 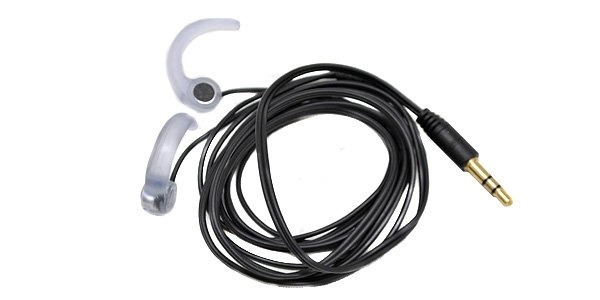 The child of a Kickstarter campaign, these wireless, in-ear hooked binaural microphones were designed to add realism to mobile phone videos. They record digitally and wirelessly to a smartphone using a special free app. DPA 4060 ($949.45) or 4061 ($949.95). 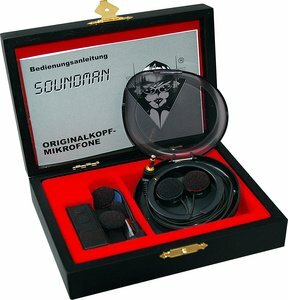 Soundman OKM II Classic Studio Solo ($129). 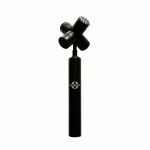 Naiant x-x miniature omnidirectional microphones ($108/pair). 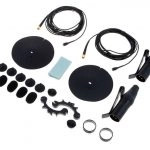 Core Audio binaural microphone set ($230). 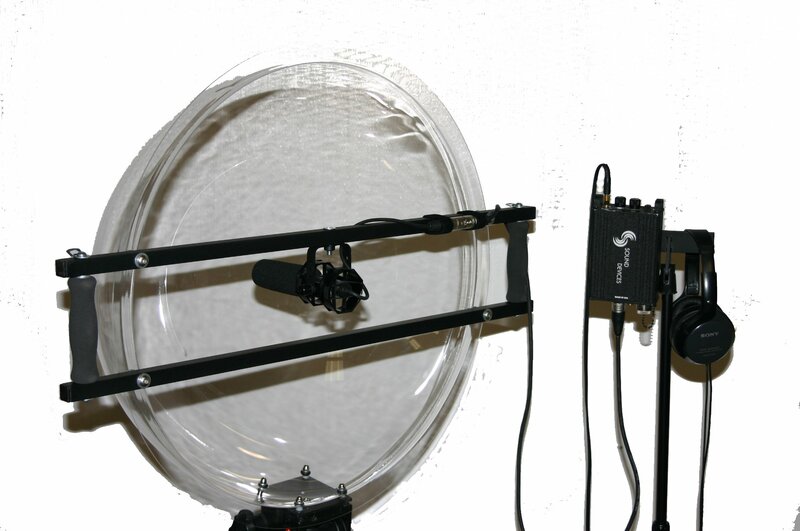 Giant Squid Audio Lab Podcasting Omni Stereo Mic ($75) uses electret condenser microphones in a small form factor compatible with plug-in-power that can easily be adapted for binaural recording. 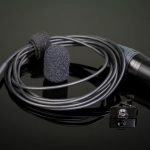 Conceived in 1987 by Michael Billingsley for Crown, the SASS type microphone is what is known as a quasi-binaural system. 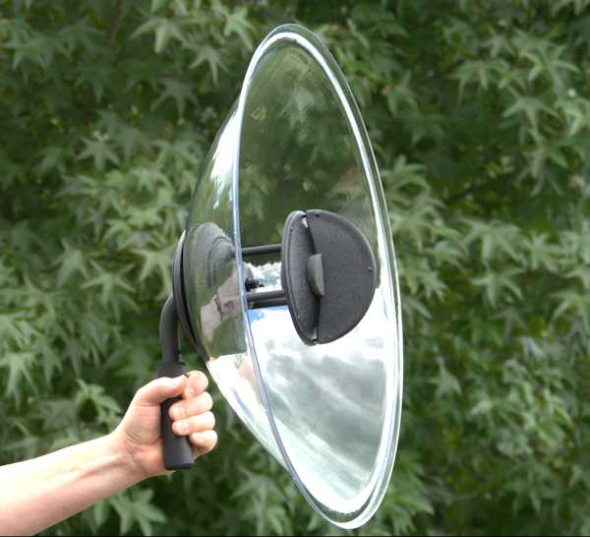 It uses a baffle between two microphones to mimic the way our ears hear sound. The wings of these strangely shaped microphones act as a boundary surface. Unlike binaural systems, the SASS system works well with typical speaker set ups in addition to headphone listening. Crown Audio SASS-P MK II. No longer currently in production but often sought after used, this system uses stereo PZM (pressure zone microphones) microphones to depict an amazing sense of realism. 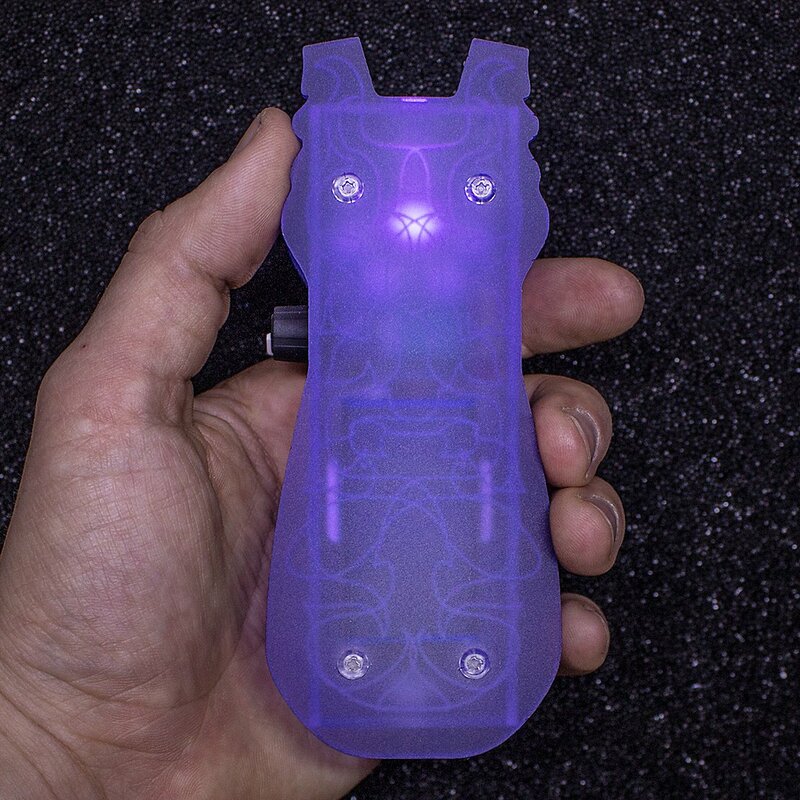 Wildtronics Stereo Ambient Array Microphone (SAAM) ($999, use discount code 6RJBRJD05FL7 for 5% off) – a microphone designed around the shape of the human head that captures field recordings with a binaural response. Rob Danielson PBB2N. A wooden SASS built by a professor at the University of Wisconsin-Milwaukee. Vicki Powys SASS-Lite Narrow 2. A modified SASS version that features 4 Primo BT-EM172 capsules, said to rival the sound quality of the discontinued Crown SASS. 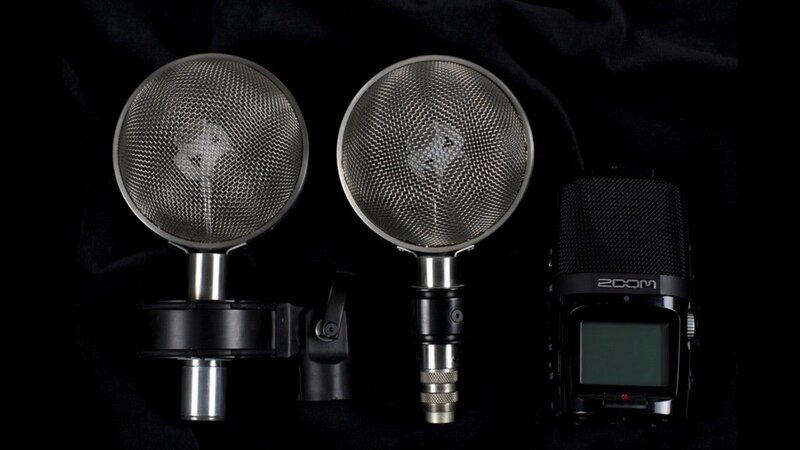 Read a fascinating article about DIY SASS microphones, and explore more on Powys’ site. Some fascinating field recordings can be gathered by capturing vibrations through the surfaces of objects. Field recordists capture these types of sounds using contact microphones, also known as pickup or piezo microphones. These microphones reject air vibrations and defer to capturing sound transmission through materials themselves. 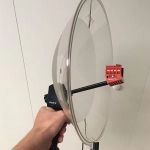 Field recordists have captured cool sound effects by mounting these microphones on cymbals, ringing metal bowls, glass panes, fences, and more. Barcus Berry Planar Wave ($297). A popular choice among field recording pros, the Planar Wave ships with a matching preamp. 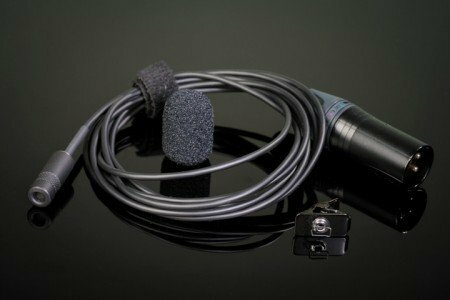 JrF contact microphone ($39). 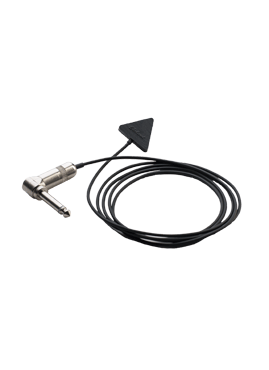 A common choice for entry-level contact field recordings. Ehrlund EAP ($599). Originally designed for music and later hijacked for field recording. Includes a matched preamp. 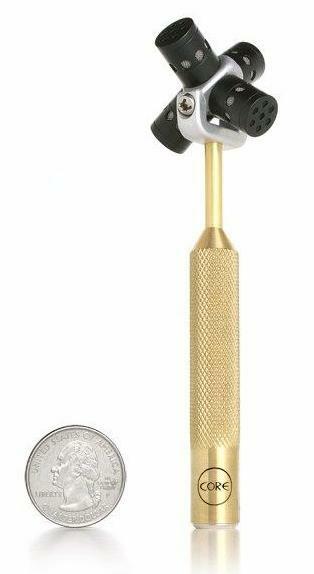 Cold Gold contact microphone ($77+). 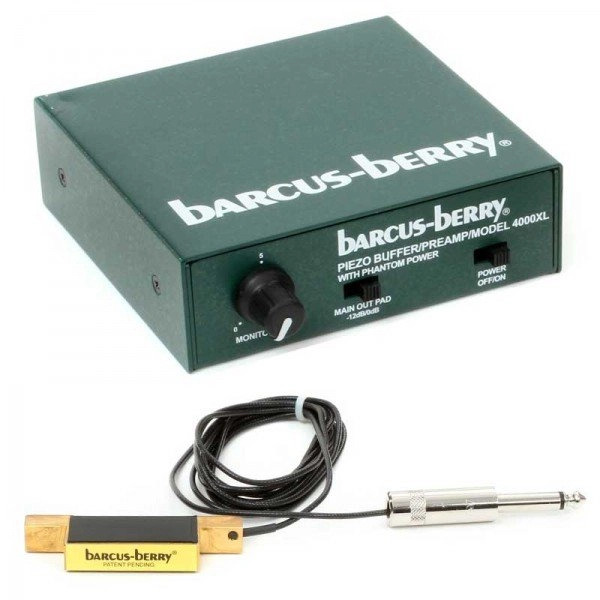 This manufacturer offers a dozen variations of pickup microphones with variants including 27mm or 35mm elements and 1/8” and XLR jacks. AKG C411PP ($168). Offered in XLR and minijack variants. This pickup captures audio in a figure-of-eight polar pattern from 10 to 18,000 Hz. Trance Audio Inducer ($699). The people at Trance employ a special “Acoustic Lens” technique to capture contact mic vibrations in horizontal, vertical, and lateral planes to increase accuracy. 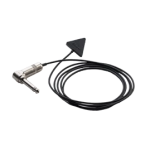 Specifically created for recording low-noise, high-definition stereo recordings for sound design, the Inducer system is a custom order available upon request. Want a cheaper option? You can buy piezo discs on Amazon or eBay inexpensively and simply solder them to a connector. There are tutorials to do this on the Web, or you can view YouTube videos. Note that some contact microphones perform better with an impedance adapter. One community suggestion is Triton Audio’s BigAmp Piëzo (€69.95). 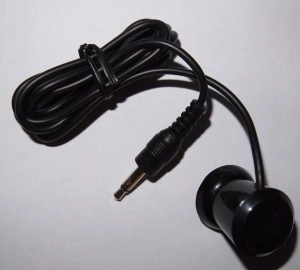 Check with the microphone manufacturer to see if it will benefit from impedance adapters, etc., when used with your kit. Richard Mudhar explores this on his website (article one, article two). 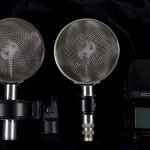 Check out Tim Prebble’s seminal article about contact microphones for more detailed information, too. Thinking about capturing bubbles, gurgles, and sloshes? 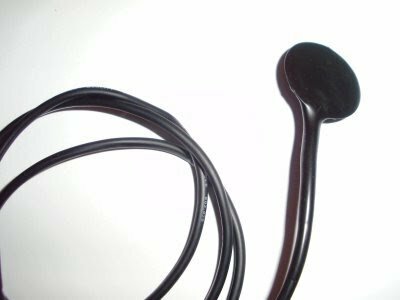 Head into your nearest swimming pool with a hydrophone. These microphones are essentially contact microphones with waterproofing. Field recordists have captured fascinating takes of rivers, waterfalls, boat motors, and other sound effects recorded underwater. 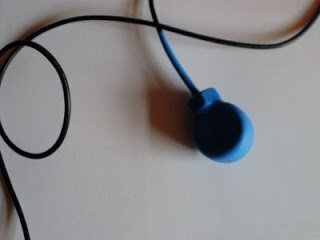 JrF hydrophone ($70). A popular choice for new field recordists. 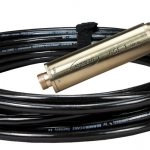 Cold Gold hydrophones ($42+). 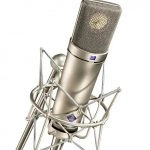 Canada’s Cold Gold Audio offers the most economical microphones on this list. Aquarian H2a-XLR ($194). 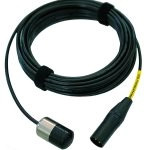 Aquarian offers a variety of hydrophones ($159 – $199), with the H2a-XLR being the most popular with pros in the Month of Field Recordist series. 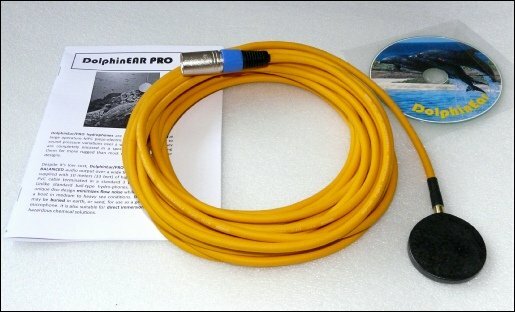 DolphinEar Pro hydrophone ($399+). A rugged version with balanced output via XLR. DolphinEar also offer the all-in-one DE200 series, which adds a headset amplifier and earphones ($319+). 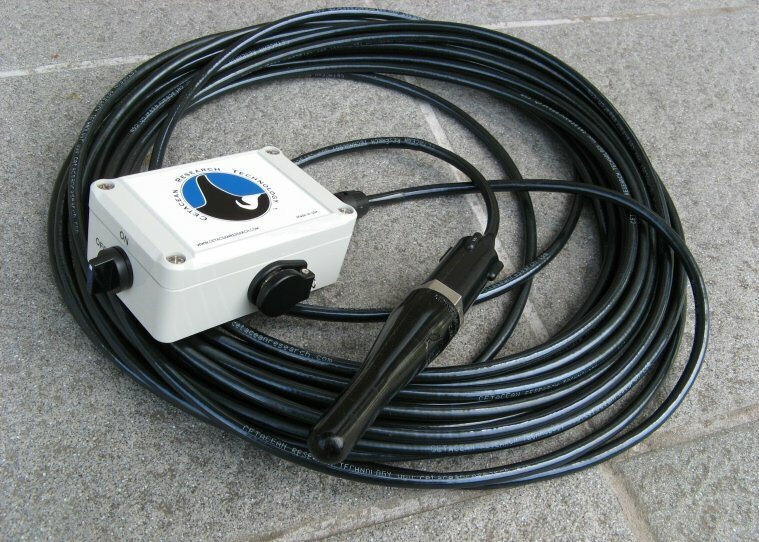 Cetacean Research Technology hydrophones. 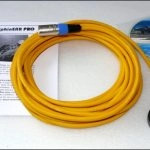 This company offers a range of more than a dozen hydrophones. They were originally designed for scientists and engineers. At the moment they only support ordering by phone. Ambient hydrophones. 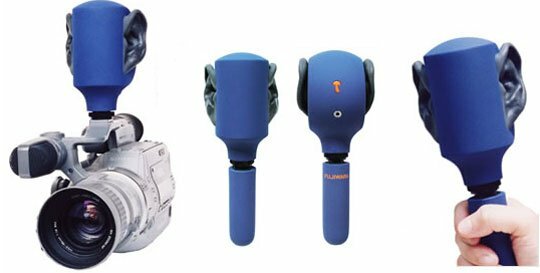 Widely respected hydrophones. 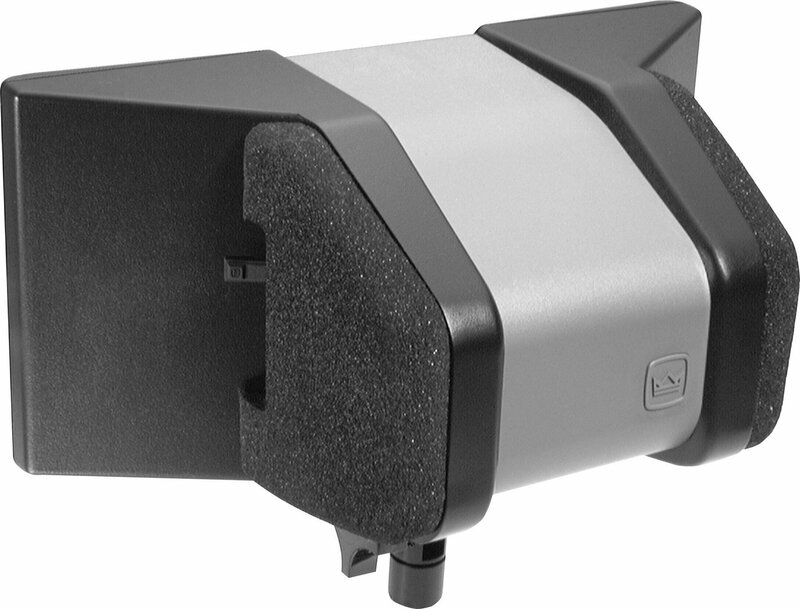 The premier ASF-1 ($1,500) accommodates wider frequencies and greater depth than the more accessible ASF-2 ($462). 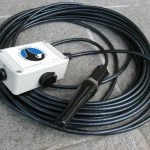 Ambient also offer a Directivity Sphere which focuses hydrophone recording to resemble more of a hypercardiod pattern. 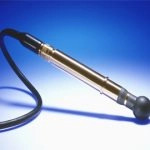 Teledyne Reson hydrophones. Robust offerings that include units that capture from 5 Hz to 85 kHz at depths of 2000 meters with options to include integrated preamps. Some field recordists prefer the TC 4042. Nature field recordists have popularized supplementing their stereo ambience tracks with focused recordings of wildlife. They collect samples of a bird’s song, a stag’s roar, and monkey screams. How can they capture these sounds in isolation from the wildlife around them? 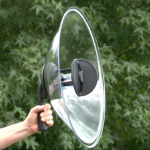 They use parabolic microphones. 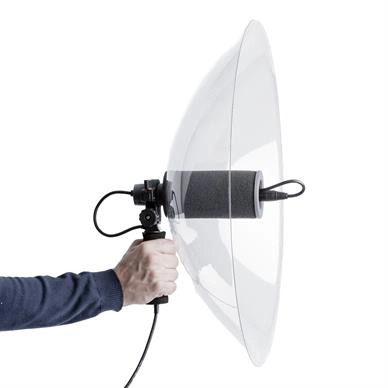 Parabolic microphones combine a plastic reflector dish and an omnidirectional microphone. Sonic reflections gather in the dish and are directed toward the omni microphone pointed towards it. This allows the microphone to capture sounds with great sensitivity from a single, focused direction. The bigger the dish, the better the spread of frequencies it can collect. In other words, smaller dishes are more suited to capturing higher-frequency sounds. 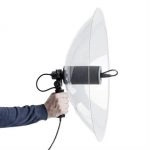 Some parabolic microphone systems pair a microphone with the dish. 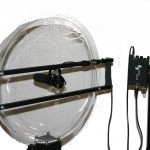 Others offer the dish alone and allow field recordists to choose the best low-noise omnidirectional microphone they can afford. Sony PBR-330 (discontinued, $100, microphone not included). This 13 1/2” dish sometimes appears used on eBay. 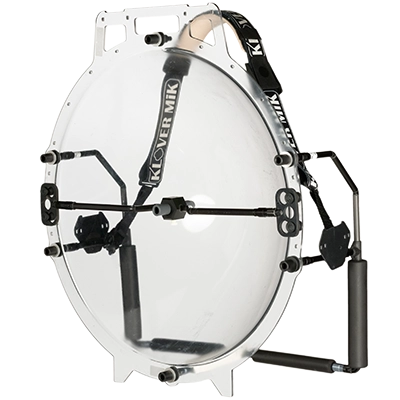 Accommodates microphones from 15mm to 30mm in diameter. Other versions such as the larger 15 3/4” PBR-400 are floating around, too. 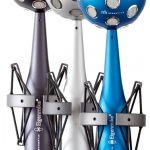 Wildtronics ($375 – $1,097) – this American manufacturer offers a wide variety of parabolic dishes. They range from a bare reflector to integrated units capturing 1 – 3 channels in amplified and non-amplified variants. Plenty of options to suit a wide amount budgets and microphone preferences. The owner has kindly offered readers here a 5% discount by using code 6RJBRJD05FL7. 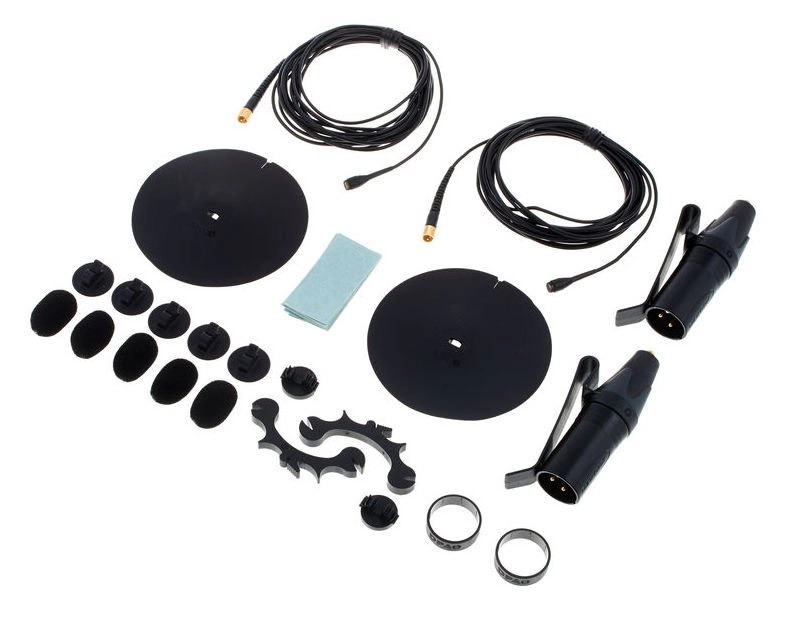 Teligna Universal Kit MKii ($750). This kit is quite common with nature field recordists, who cite its durability and clarity as highlights. It was the most popular dish mentioned by pros in the Month of Field Recordist series. Jony JonyShot ($1,320, microphone not included). This dish is aimed towards sports broadcast recording. Klover ($2,250+, microphone not included). A series of dishes manufactured for broadcast. Crystal Partners BE3K “Big Ears” (discontinued). Another dish to keep an eye out for in used listings. It was popular with law enforcement and military uses, and was also used in broadcast, too. 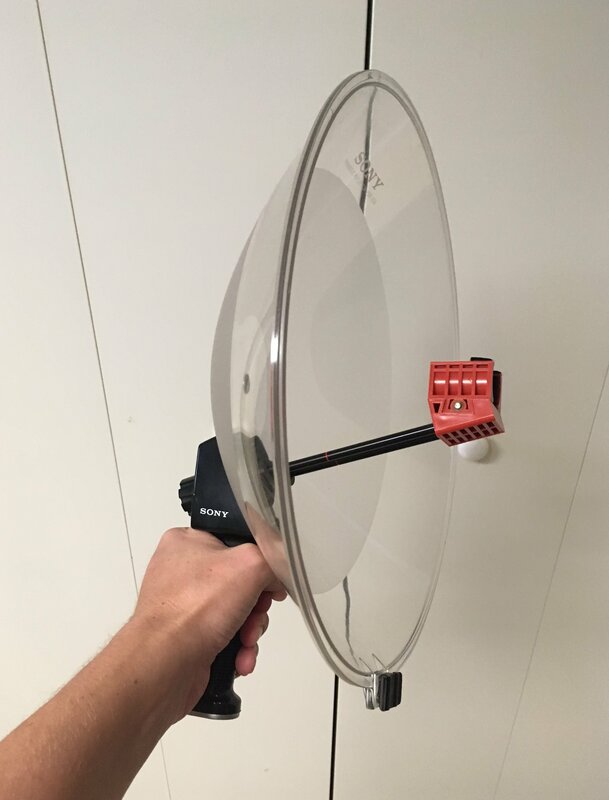 Read an earlier article exploring parabolic dish options with an interview with Wildtronics owner Bruce Rutkoski. Have you ever considered recording the sound of electromagnetism? Science fiction? Not at all. 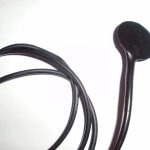 Induction coil microphones pick up electromagnetic waves or the magnetic impulses from a speaker magnet. It’s not hard to capture these bizarre sounds that surround us, and do it inexpensively, too. Lom Elektrosluch 3+ (€100). Favoured by many in the field recording community, this unit is responsible for a number of emerging independent sound design libraries. Features a 3.5mm/1/8” output with a maximum gain of 60 dB. Wallet a bit light? Lom also offers the Elektrosluch Mini City do-it-yourself kit with a circuit identical to the 3+ for just €44. JrF Induction Coil Pick Up (£15-£20). Offers options with mini jacks and 1/4” jacks. 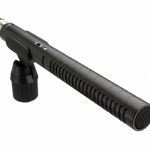 Neumann KMR 81 i Supercardiod $1599.95 A highly-respected shotgun microphone, known for its low noise and more natural, excellent sound quality. Balanced and clear sound with exceptional off-axis rejection. Rich and detailed. 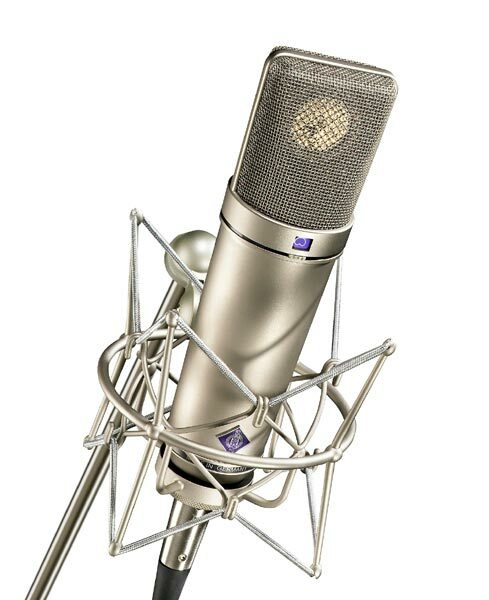 Neumann U87 Omnidirectional, Cardiod, Figure-of-eight $3199.00 The U87 is famous for providing a smooth, warm and natural sound. 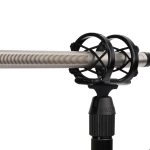 Røde NTG1 Supercardiod $249.00 An entry-level shotgun microphone with a decent reputation. 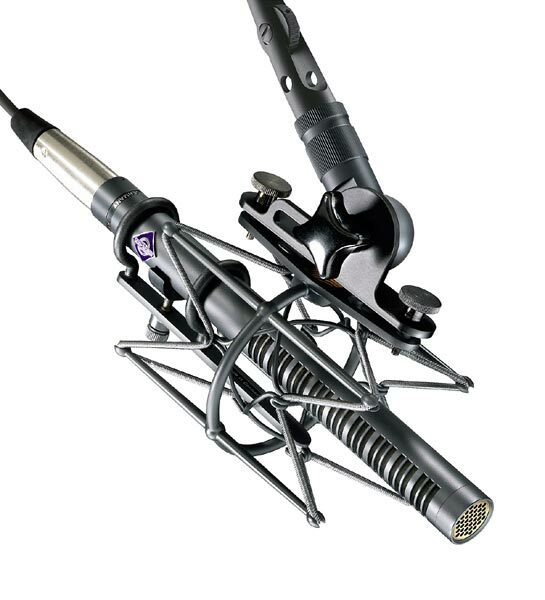 Røde NTG2 Supercardiod $269.00 A shotgun which competes with the Sennheiser ME 66. Pros appear to prefer the NTG2 over the ME 66. Sanken CS-3e Supercardiod $1450.00 A shotgun of a linear array of three capsules, considered at the same level as the MKH 416 and the MKH 60. 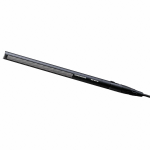 Has slightly higher noise than other options, but has a smooth and detailed sound and a decent off-axis rejection. 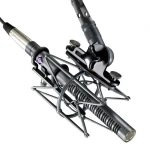 Schoeps CMIT 5 U Supercardiod $2199.00 This microphone is known for its generous axis handling and smooth, full sound that avoids the characteristic “thin” sound that may accompany some shotgun mics. Sennheiser MKH 40 Cardiod $1199.00 A low-noise cardiod option. Sennheiser MKH 60 Supercardiod $1499.95 A particularly quiet shotgun option with high sensitivity and a clear sound. 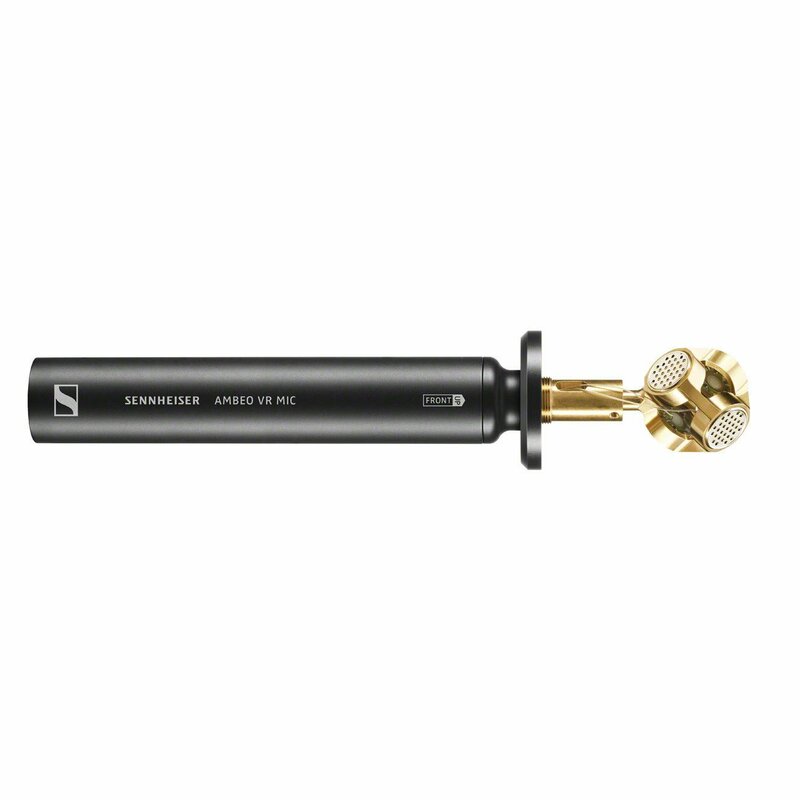 Sennheiser MKH 416 Supercardiod, Hypercardiod $999.95 The industry gold standard for shotgun microphones, albeit with an older design. Popular. Emphasis on higher frequencies. Good performance in humid conditions. 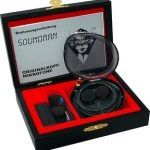 Sennheiser ME 66/K6 Supercardiod $459.00 The ME66 is a highly directional “neutral” capsule powered by the K6 preamp. Pros comment that it lacks the typical Sennheiser quality of more pricey models. View the general Field Recording Gear Buyer’s Guide. Read an analysis of professional field recordist equipment choices from 2015 and 2016. Read community kit choices for audio recorders, microphones, favourite kits, and beginner recommendations.